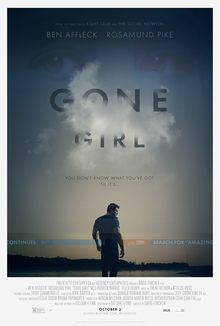 A strong month for the cinema in October, with 3 excellent films forming my top 3 for the month. 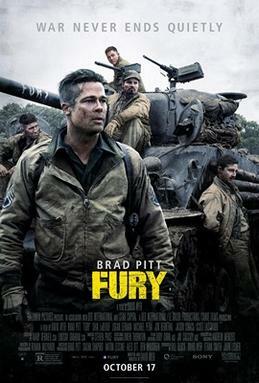 The World War II genre is not exactly short of movies, but David Ayer’s ‘Fury’ is a visceral, brutal tank movie featuring terrific performances from its core cast and it’s well worth checking out. In most month’s, this gripping survival thriller would have taken top spot, but alas it has to settle for second place in my countdown. 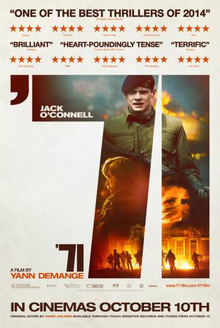 Rising star Jack O’Connell is mesmerising as a young British soldier trapped behind enemy lines at the height of the troubles in Belfast in 1971. First time film director Yann Demange skilfully avoids taking sides in the conflict and focuses on the individuals involved on both sides, good and bad, and carves a terrific film out of the subject.